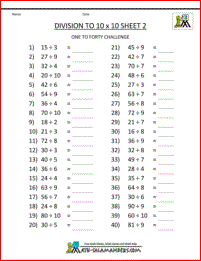 Welcome to the Math Salamanders Printable Division Worksheets 3rd Grade. 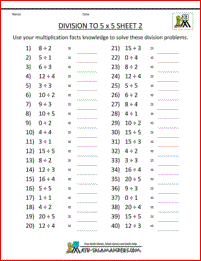 Here you will find a wide range of free 3rd Grade Math Worksheets, which will help your child achieve their benchmark for 3rd grade. 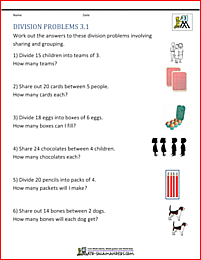 Here you will find a selection of free printable Division Worksheets which are designed to help your child learn their division facts. The sheets are graded so that the easier ones are at the top. 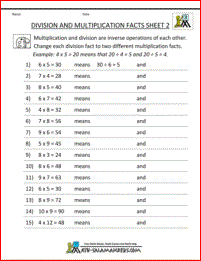 understand how multiplication and division are related. 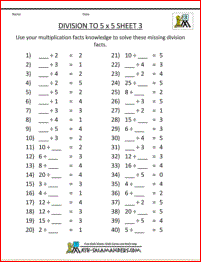 know their division facts up to 10x10. 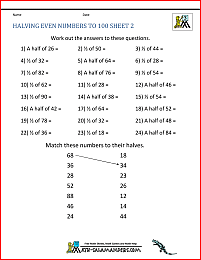 All the free 3rd Grade Division Worksheets in this section follow the Elementary Math Benchmarks for Third Grade. Looking for some easier division sheets? 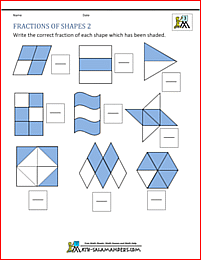 We have some 2nd Grade Division worksheets. 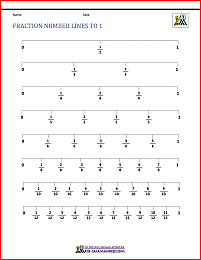 This page focuses on understanding division as the inverse of multiplication and introduces two models of grouping and sharing. Looking for some harder division sheets? 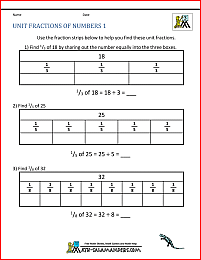 We have some 5th Grade Division worksheets. This page focuses on working out decimal division facts related to the multiplication table. 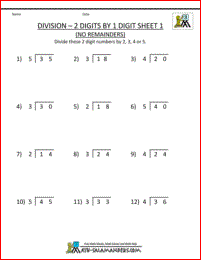 We also have long division worksheets for 5th grade both with and without remainders. 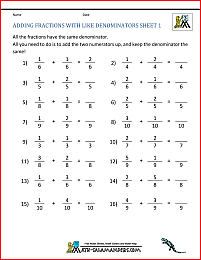 Here is a selection of other Division worksheets for 3rd Grade. Calculate division facts related to multiplication facts. 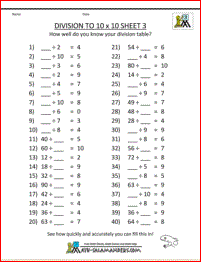 solve a range of division problems.